On Saturday afternoon, a car plowed through a crowd of anti-racism protesters, killing one and injuring several others, in Charlottesville, Va. Several hours later, a suspect was arrested and is now being held at the Albemarle-Charlottesville Regional Jail. 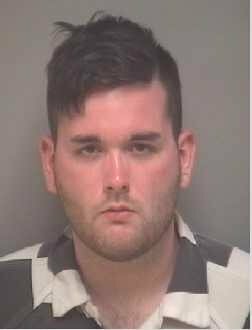 Twenty-year-old James Alex Fields Jr., of Maumee, Ohio, was charged with one count of second-degree murder, three counts of malicious wounding and one count of failing to stop at an accident resulting in a death, according to Col. Martin Kumer, the superintendent of Albemarle-Charlottesville Regional Jail. Saturday’s arrest comes on the heels of hundreds of white supremacists swarming Charlottesville during the Unite the Right march, carrying Polynesian tiki torches and shedding white tears. By Saturday afternoon, Virginia Gov. Terry McAuliffe had declared a state of emergency. 1 Dead as Car Plows Into Group of Counterprotesters in Charlottesville, Va. The victim who was killed was identified as a 32-year-old woman, according to Chief Al Thomas of the Charlottesville Police Department. As of Saturday evening, Angela Taylor, a spokeswoman for the University of Virginia Medical Center said, five people from the crash were in critical condition, four in serious condition, six in fair condition and four in good condition.